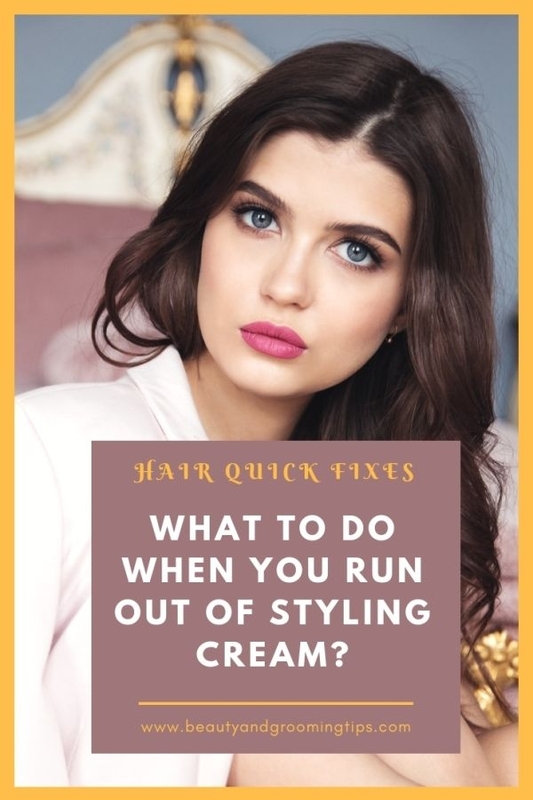 * Substitute the styling cream with a bit of body lotion; it’s great for taming frizz and fly-aways. * An old remedy from the yesteryear's: Dissolve a tablespoon of sugar in half a cup of hot water; when it cools dip your fingers in the solution and gently work your fingers through the hair to push it into place. As the water evaporates sugar crystallizes, providing firm hold. Do not apply too much of it. It might give the hair a stiff, unnatural look. * If you have gelatin and lime at home, then you can prepare your own styling lotion quickly. Mix 5 tbsp gelatin and ½ tsp lime juice in a cup of hot water. Apply it to your hair to set it.